Well...DINOSAURS! 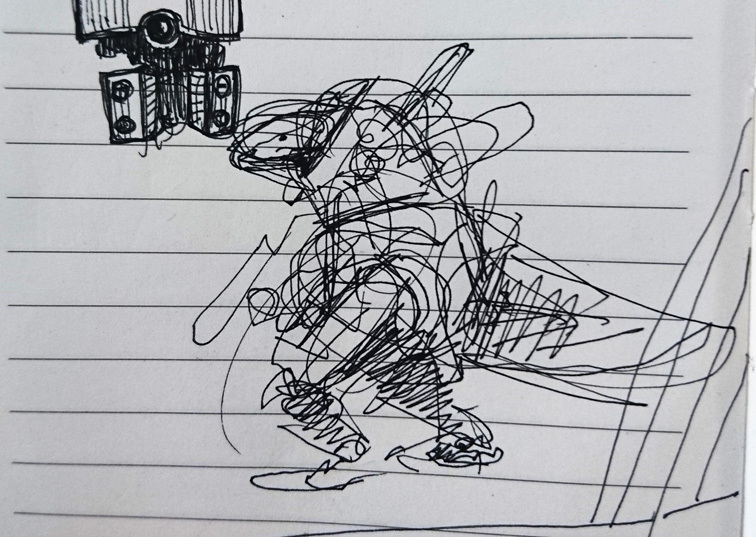 I happened to scribble around on my notebook (paper indeed) and there a space-dinosaur drew himself. As i was browsing through my bitz the other day, i found this old saurus head from an older starter-box and instantly the idea was born to make the slann reapear in 40k as allies to my Tau army. 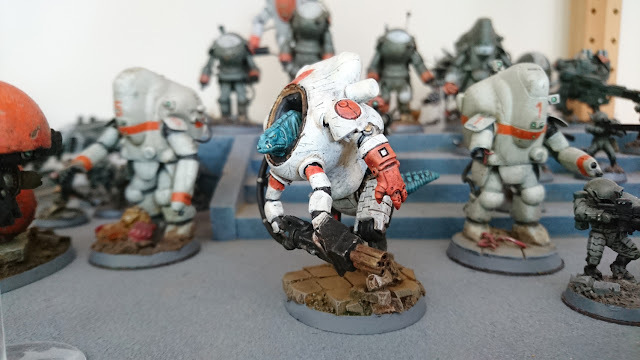 After two sleepless nights of smashing parts together, i happily welcome to my Tau command staff this saurian general who will find his name during the painting process, i hope (favorites so far being, Rexxor, Sausia or something Aztec-sounding, Xocorex whatever). 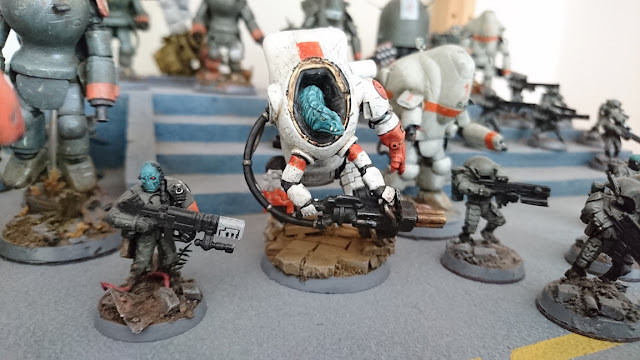 Parts are from viaried sources, Mak-Suits again, Crisis legs, Cold-One tail, Gun is from Dust Tactics, Terminator body for the groin. 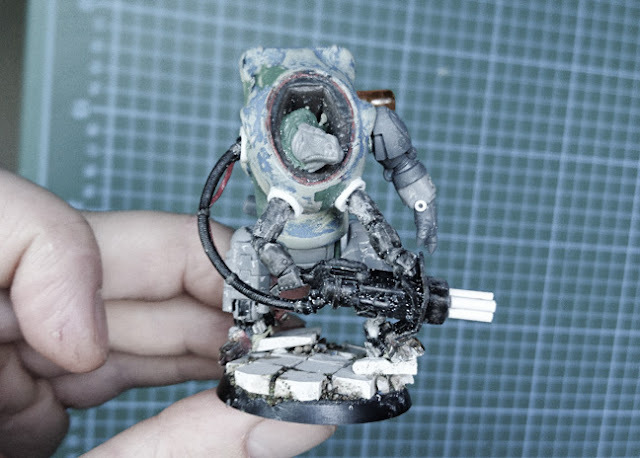 I am particulary happy about the third arm, wich is supposed to be a robotical one, made of a Terminator arm and the Power Fist of this Kastellan Babysitter from the admech army. Fun.